Last night, OUSD’s budget woes continued to unfold at the Board of Education’s Budget and Finance Committee Meeting. OUSD staff shared information about the need to make adjustments to the current school year’s budget. Though staff did not give a specific number for how much needed to change, it was clear that the adjustment may be substantial. In this post, we’re setting out to explain our best understanding of what’s at stake, why there may be adjustments, who is involved, and what the projected timeline is. Read on to learn more. GO is setting up a budget blog for more frequent updates and information. Click here to sign up. And make sure to check out our recent Budget Matters posts, including our comments on Closing of the Books and the FCMAT report. First, what is at stake? Local control. Yes, state receivership is still on the table and that would mean losing local control over important education decisions and potentially losing a Superintendent like Kyla Johnson-Trammell as the state steps in and assumes financial control. Given that, we call on the Board of Education and OUSD leadership to act collectively and decisively to address these issues and to communicate thoroughly and transparently with the public about what is happening and why (click here for the OUSD fiscal transparency page). Unbudgeted for Expenses: Several expenses were not captured (e.g., the Beginning Teacher Support and Assessment (BTSA) Program). This may be due to the the chaotic nature of last spring’s budgeting process. Rebuilding from last year: Financial moves made last year to make sure OUSD made it through the year that are impacting this year’s budget (e.g., spending from Self-Insurance Fund). Both the County and State are demanding cuts. 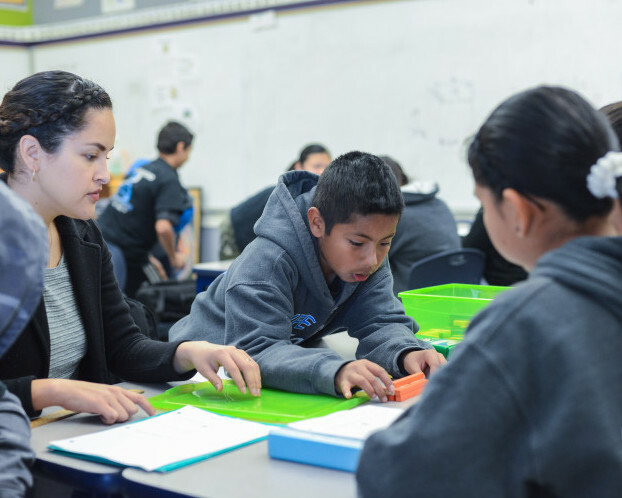 First, Alameda County, which oversees some aspects of OUSD’s finances, has made it clear that they expect budget cuts to happen for this year’s budget. OUSD’s state receiver, who also oversees OUSD’s finances, has made clear that if it looks likely that OUSD will be in a position of not being able to pay its bills, then the state will step in and make the necessary financial adjustments. With both oversight agencies in agreement that OUSD must make cuts, there is little room for error. Speed of Matters. The longer OUSD takes to actually make the cuts, the less flexibility they will have. Why? Because operating a school district is expensive and the deeper into the school year it is, the less money there is left from which to save or make adjustments. This is a continuation of the issues that surfaced last January and will likely last for the next couple of years. They are rooted in some combination of rising overall costs (cost of living and retirement) and flat funding from California coupled with some overspending and topped off with old, inefficient systems (see FCMAT report). In the coming weeks, OUSD will both be (1) making adjustments to the current school year’s budget and (2) creating the 2018-19 school year budget. Like this year, next year’s budget will also have millions in spending reductions. What are the timelines for making budget adjustments? (This tentative, not final). October 11th: OUSD staff will give the Board of Education a “final” number of how big the adjustments need to be for this year’s budget. October 25th: OUSD staff will present a budget proposal with budget adjustments for this year for feedback from the Board of Education. November 8th: The board will vote on the plan for cuts to the 17-18 (this years) budget. Once they vote, those cuts can go directly into effect. No, not at this scale. Normally, at this time of the year, small adjustments are made due to closing of the books, or small increases in funding or expenses, but this is extreme. GO is also setting up a budget blog for more frequent updates and information. Click here to sign up.